Here at Organic Air Duct Cleaning our team’s main passion is in providing a service which enables the success of our local community. Indoor air pollution is a growing problem which poses many health risks to americans. Most people spend the majority of their time at work, therefore, they should be sure that the air they are breathing at work is safe to breathe and pollution free. That is why our company offers, safe, cost effective solutions to the problem of indoor air pollution. We offer a variety of services ranging from cleaning air ducts, to cleaning dryer vents, and even cleaning commercial carpet spaces. Each service we provide is a step in facilitating you and your employees to be healthier in life and more productive in the workplace. 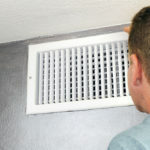 After all, one motto we have at Organic Air duct cleaning is “a healthy worker, is a productive worker”. The air you breath constantly gets circulated and filtered through the HVAC, it may even be circulated over 10 times a day. The more times the air gets circulated throughout those systems, the more dirt and debris that gets built up. This translates to you breathing in more and more polluted air. This translates not only to a health risk, but also means that you are probably paying more for energy than you should be. When you have more dirt and debris trapped in your heating and cooling systems they run less efficiently. Breathing in polluted air translates to potentially costlier medical bills in the future, and costlier energy bills in the present. Our services guarantee that you will not only be breathing in high quality air that will not translate to health risks later on, but also that your heating and cooling systems are running at optimal efficiency.